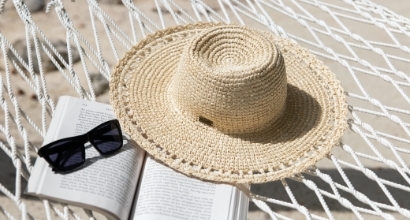 Shorts remind us of summer, and summer reminds us of free spirits and adventures. 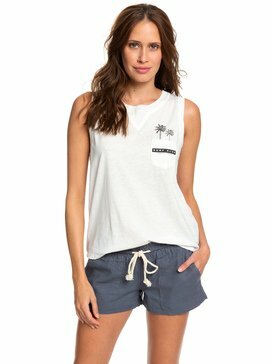 Embrace the freedom of adventure in a pair of ROXY women’s shorts. 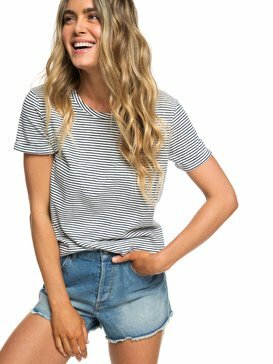 As a brand passionate about dressing you for each and every adventure that comes your way, ROXY understands what it takes to create quality clothing that will keep you looking good and feeling great. 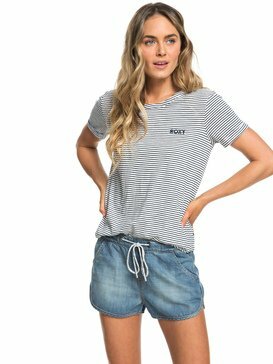 Each pair of ROXY shorts for women is designed to flatter your figure while facilitating your fun, and with a wide range of styles and designs you’re sure to find the right fit for you. 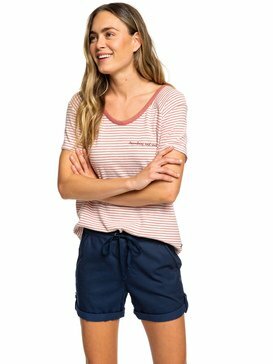 Whether you’re just coming out of the water after a refreshing surf session, dressing yourself for a day at the beach, or simply showing off your legs, ROXY shorts and capris are a wardrobe must-have. 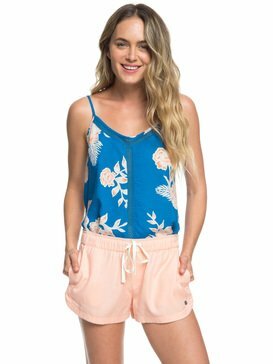 Our collection of shorts for women and capri pants offers a variety of styles that allow you to pick a pair that matches your mood for the day. 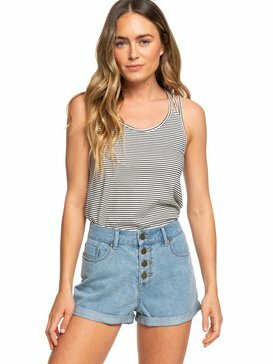 A classic pair of denim shorts or jean shorts is a great choice for any summer day. 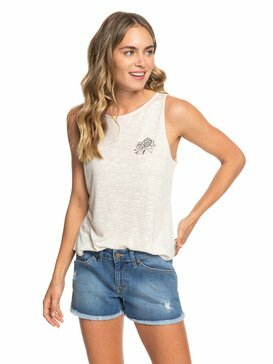 Wear them with a tank and flip flops for a casual look or wear them with nice top and a pair of wedges for a trendy, more sophisticated summer look. 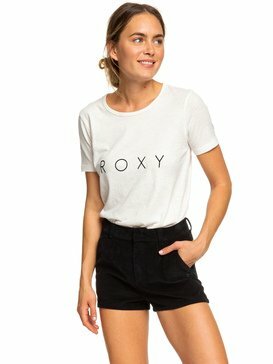 ROXY offers white denim shorts, black denim shorts and a selection of other colors for our women’s denim shorts, so that you can choose the perfect pair to go with your outfit. Not a fan of denim? 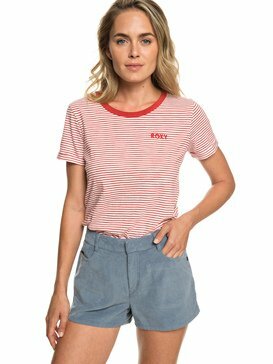 ROXY’s collection of women’s shorts also offers a variety of linen shorts and other materials that are stylish and comfortable all at the same time. The best part? There are so many colors and designs to choose from you’ll be filling your drawers with options! If you’re looking for a pair of patterned shorts, it will be hard to choose just one. 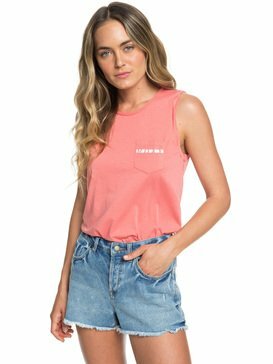 We also offer a variety of colors including blue shorts, pink shorts, red shorts and more so that you never have to compromise your style goals. Less material doesn’t mean less comfort. 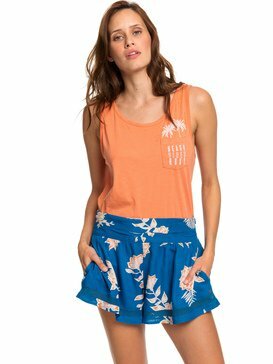 ROXY women’s shorts are designed with quality fabrics to keep your legs looking and feeling fantastic. If you’re looking for free, unrestricted comfort, a pair of our stretch waistband shorts will rest comfortably on your hips providing just the right amount flexibility and movement that you need to stay comfy throughout your day. Looking for a little more control? A pair of our draw cord waistband shorts or tie waist shorts allows you to keep things tight or loose. 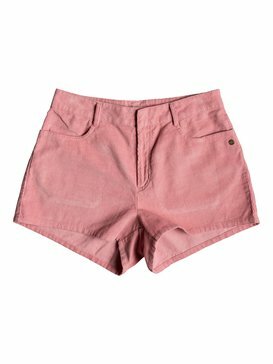 A classic pair of denim shorts allows for a little more security at the waistline with its zipper and button construction. 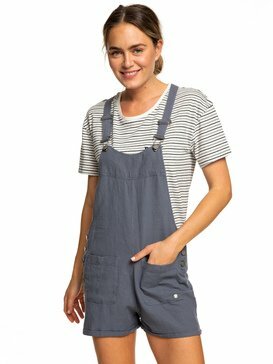 Overall shorts are a fun way to keep your outfit unique. 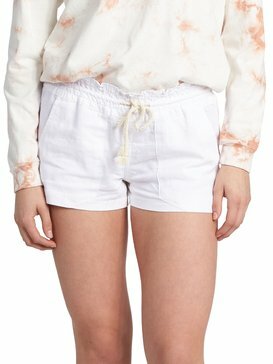 High-waisted shorts are all the rage these days, make sure to keep a pair on hand for days when you want to rock the latest trends. 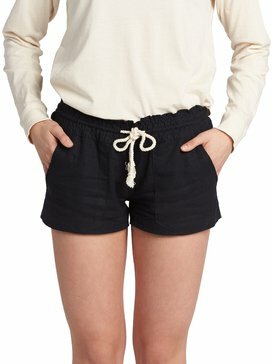 Each shape is unique and ROXY women’s shorts are made to flatter all shapes and sizes. 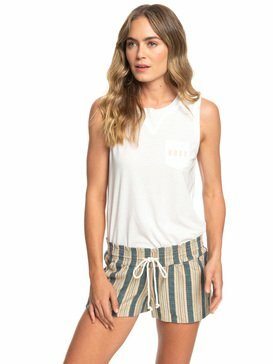 Many of our shorts comfortably hug around the hips, but if you’re interested in embracing the latest trends, opt for a pair of our high-waisted shorts to dress up your outfit. 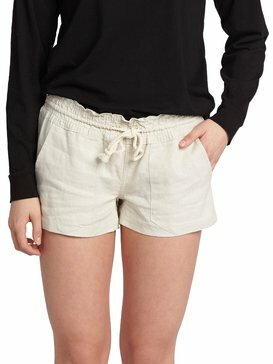 ROXY women’s shorts also offer a variety of lengths so that you’re comfortable with your amount of coverage. 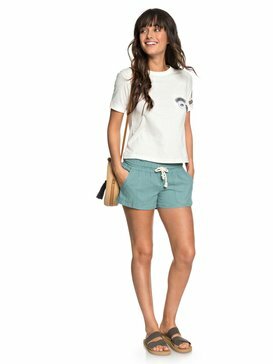 A pair of bermuda shorts will be a great option for when you’re looking for a little more length, and a nice pair of capri pants is even better for cooler summer evenings. 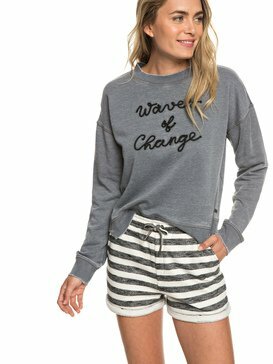 Whatever you choose, your legs will look great in a pair of ROXY shorts for women. 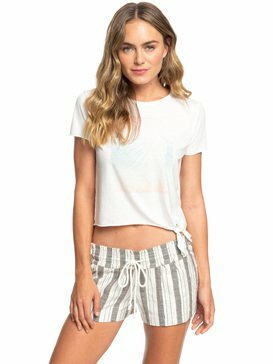 Buy Your Favorite Women’s Shorts Today! 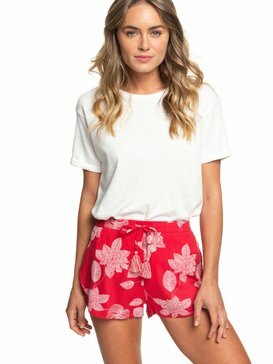 Don't waste another minute without your favorite women's shorts! 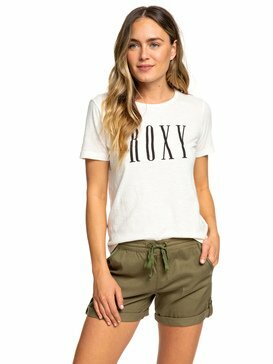 ROXY's convenient online shopping experience and options on free shipping make it quick and easy to buy the shorts you love, fast!